LG denies accusations that it has falsified TV energy efficiency results | What Hi-Fi? 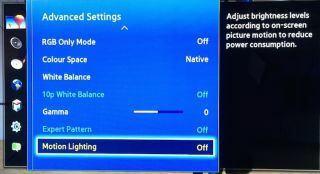 The European Environmental Bureau is examining whether motion detection and dimming software could be used on televisions to give them a better energy rating. LG has flatly denied allegations that it uses power-saving motion detection and dimming software that would activate during energy efficiency tests to help its TVs gain better energy ratings. This accusation - which was reported in the Daily Mail - comes from the European Environmental Bureau (EEB), which is examining whether there is a so-called 'cheat device' built into the televisions. It follows similar claims about some televisions sold in the US in 2015. Samsung, which is also being investigated by the EEB, refused to comment on the latest accusations. Last year Samsung categorically denied it had been cheating in the energy efficiency tests. MORE: Is TV energy testing flawed? The EEB test, which uses a 10-minute video specifically created to examine energy performance, could have been thrown off by the TVs activating their motion software to dim the screen when the test video is being played. This would mean the TVs would receive a better energy rating than if the screen had not been dimmed. The EEB is seeking to establish whether this is simply a side-effect of the technology, or whether it was a deliberate attempt to skew the results. Results of the EEB investigation are due to be published this spring.